Wed Mar 20, 2019 899 words. Now we’re ready to take things to the next level. We will create a custom animation for the active page and use Firestore create and filter pages dynamically from the backend database. 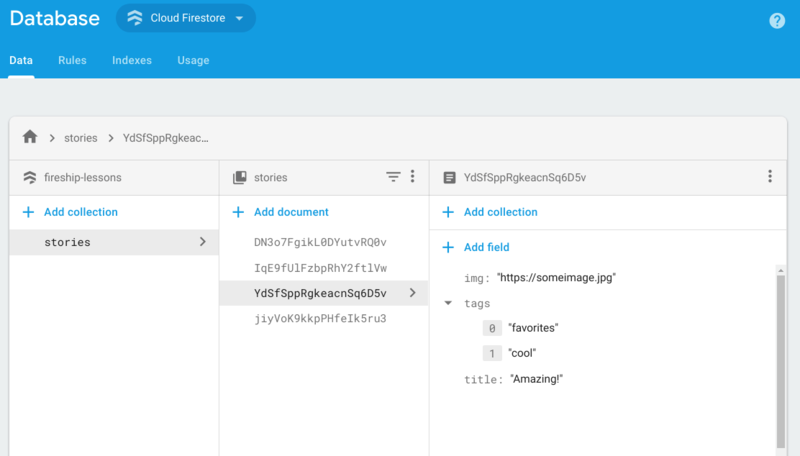 We can query the database for all stories that contain a specific tag using Firestore’s array contains query type. In addition, it is useful to map the document snapshots to their raw data payload at this point to keep the main widget build method free of business logic. Lastly, we update the activeTag on the widget to style the corresponding button with a different color when that filter is applied. In the widget’s build method we first start by setting up a StreamBuilder so the widget reacts to data changes in Firestore. Next, we use the PageView.builder constructor, which allows us to build our UI on the fly and scale up to infinitely large collections. If the current index is zero, build the tag page, otherwise build the main story/card page. In this section, we use the AnimatedContainer Widget to give the active page more height and a stronger box shadow when it’s active in the PageView. An AnimatedContainer is just like a regular Container, expect it requires a duration and curve. When its attributes change, Flutter will automatically perform a linear interpolation between the values with a transition animation.